The Colorado Kayak Supply (CKS) affiliate program has been launched in the AvantLink affiliate network. ColoradoKayak.com is the Rocky Mountains’ largest supplier of kayak, paddle sport and SUP gear and accessories. CKS is known for having the largest selection of whitewater and recreational kayaks along with a huge inventory of paddle board equipment and accessories. 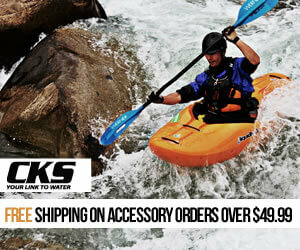 CKS’ commitment to providing customers with only the best paddle sport equipment is unparalleled. The Colorado Kayak Supply affiliate program is offering affiliates a 6% commission with a 45 day cookie. The average order value is over $150 and a product data feed is available for publishers that wish to promote specific products. The product data feed has over 900 products relating to over 3,000 SKUs. Versa Marketing has created multiple sets of high quality media available for affiliates to promote on their websites. Custom media sizes can be created upon request to the Versa Marketing affiliate management team. AvantLink is one of the premier US and Canadian affiliate networks ideal for advertisers in the outdoor recreation vertical. The AvantLink network provides affiliates with the industries best tools for managing their programs. The partnership between CKS, Versa Marketing and AvantLink has created an affiliate program ideal for publishers promoting paddle sports, action sports, the outdoors, and online retail. Water sport gear and accessories account for over $19 billion in annual consumer spend creating a huge opportunity for CKS and its affiliates. If you’re a publisher looking to join the CKS affiliate program or an advertiser looking to launch a program please don’t hesitate to contact us.